Home Amazon What is Cloud and What the Heck is IT infrastructure? What is Cloud and What the Heck is IT infrastructure? As an entrepreneur during the early years of technology, you would have had to set up your business the hard way. And one of the first things on your to-do list would have been your IT department. First, you would have hired a tech team capable of putting up your website and developing a mobile application for your business. Next you would have hired a network team capable of handling all your internal and external network needs. Then the equipment would have to be ordered and installed, and a special dust-free, climate-controlled “server room” would have to be set up. After that you’d set up your workstations with their computers and telephones. That’s essentially your IT infrastructure – the technology backbone without which your employees wouldn’t know left from right. As your business grew you’d have to invest more and more in new equipment, equipment to replace obsolete hardware, more software licenses and perhaps more IT guys to look after it all. Behind the scenes your expensive servers would be working day and night in their cosy air-conditioned server rooms to make sure your computers, your website, your mobile app and even your very company never goes “offline” for any reason. More often than not, this would be your greatest expense item. Unfortunately it would not be a one-time investment. You’d have to keep upgrading, updating, replacing, enhancing the system so it can handle your growing needs. All of this would have cost you tens of thousands of dollars without the ability to earn a single cent in return. The IT department in most large companies is what is called a cost center. It merely facilitates and enables your workflow – it does not create any income. What I’ve just described is traditional IT infrastructure and the many problems that it poses. In a sense, it is a bottomless pit that keeps on consuming resources just to stay alive. That idea was where the concept of cloud was essentially born. And the company that first took it to the mainstream market is Amazon.com. There were companies like Rackspace that were doing it before them, but none can boast the scale of Amazon Web Services. Today Amazon Web Services is a multibillion dollar enterprise in its own right. It’s still very much a part of Amazon, but it now operates as a fully independent unit that is far more profitable than Amazon’s retail business. 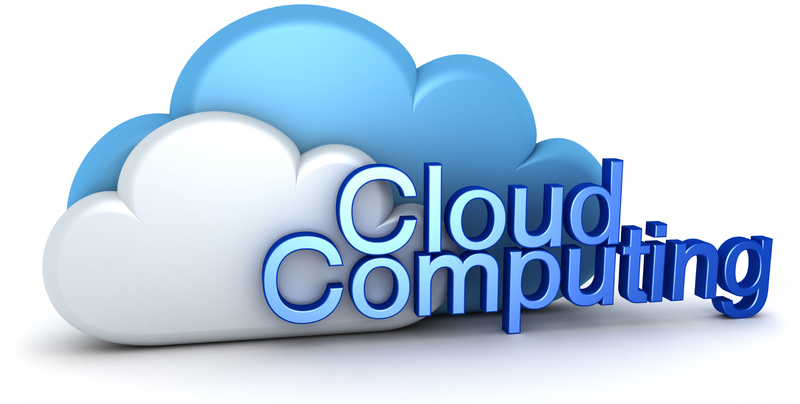 So the “cloud” is essentially a group of virtual servers that are rented out on a monthly basis or annual fee. You can rent as many or as few as you like, and you can scale up or down depending on the changing needs of your business. You only pay for what you use. And that’s cloud infrastructure as a service (cloud IaaS). Remember all those expenses and all that effort we talked about when setting up your IT department? All of that practically disappears when you start using the cloud. 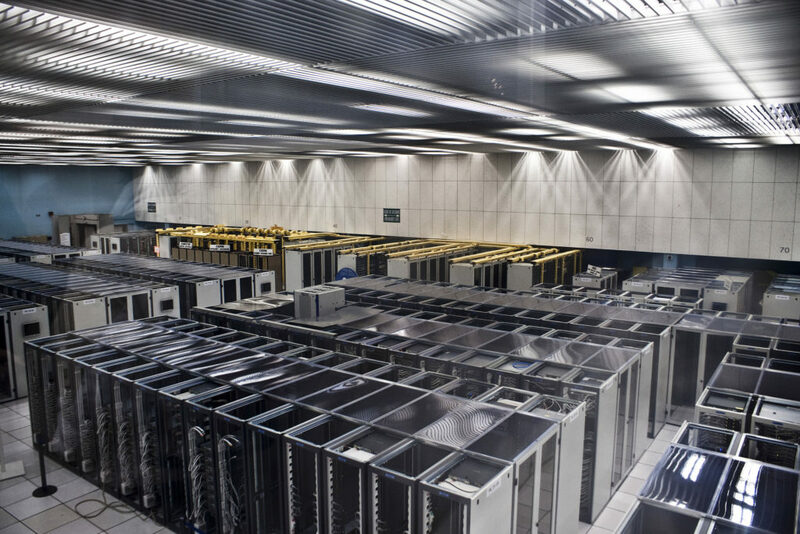 No more server rooms with expensive servers that can break down at any time, no more worrying about how much you’re paying your IT guys (let me tell you, they’re not cheap) and no more worrying about how much you’re going to spend this year and whether what you have is enough or too much. To access the cloud, all you need is an account with a cloud service provider such as Amazon, and an internet connection that can handle the transactional data volume your business generates on a daily basis. It’s as simple as that. Your office desktops, your employees’ smartphones and tablets and every connected device in your office (even your network printers and other peripherals) can access data on the cloud, virtually eliminating the need to own your own IT infrastructure. Naturally, the cost benefit is tremendous, because you are no longer spending on expensive equipment or expensive people in order to run your website or your mobile apps or anything else that feeds on data. All you need is the cloud. Is That All Cloud Can Do? Absolutely not! A cloud-enabled business can do anything that a traditional business can do – at a fraction of the cost. For example, if you’re a technology company and you need a platform for your developers to write code for a software application, it’s available on cloud. If you need specific software to run your business, like a customer relationship management (CRM) tool, or office productivity tools or anything else – it’s available on the cloud. Your Gmail is a cloud service that runs on Google’s cloud servers. The Office 365 subscription you have is a Software-as-a-Service (SaaS) application running on Microsoft’s servers. Everything from Skype to Google Drive to iCloud to Netflix (yup) is served on the cloud. The only difference is, most of these companies serve it through their own cloud instead of using someone else’s. In fact, did you know that Apple iCloud data is partially stored on Amazon’s servers and Google’s servers? That’s because Apple doesn’t want to invest in excess capacity for itself – it’s much cheaper to just pay an annual fee to another company. Of course, Apple’s cloud bill runs into hundreds of million of dollars, but that’s still significantly cheaper than building more server space for themselves. So in summary, cloud is nothing but preallocated space and compute capability on someone else’s servers. But the way technology experts talk about the cloud you’d think it was rocket science. It’s not. It’s just that if you’re not familiar with the terminology – such as Virtual Machines (which are basically fixed volumes of server space), IT infrastructure, Cloud Computing (that’s just the computing speed and capability of virtual machines), SaaS (Software-as-a-Service), PaaS (Platform-as-a-Service, which I explained was the cloud platform on which your developers can build their applications) and so on, then it’s easy to lose the thread of the conversation. Cloud is one of the most disruptive developments in technology today, even more so than artificial intelligence or virtual reality because even these things need to run on the cloud for it to be available anywhere in the world.